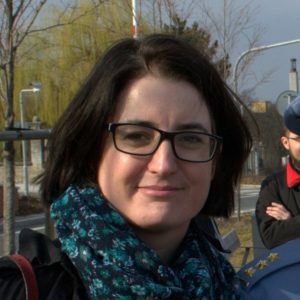 Klára Kalibová, PhD is the director of the In IUSTITIA NGO, a lawyer, analyst, and author; her main focus and expertise is on hate crime, hate speech and victims´ rights. She has undertaken research about hate crime in the Czech Republic (Lifecycle of Hate Crimes, 2017; Hate Crime Study for the EU Fundamental Rights Agency 2013; Sexual Violence in Czech Judicial Practice 2013; Forgotten Victims, 2010;). She regularly represents hate crime victims before the courts and is considered one of the most experienced Czech lawyers in the field. Recently she has focused on victims’ rights. She was a member of the preparation group drafting the Victims’ Rights Act within the Czech Ministry of Justice. Recently she contributed to the OSCE/ODIHR guidelines on assistance for hate crime victims. She is a member of the Czech Society for Criminology and the Radicalisation Awareness Network (Working Group on Voices of Victims of Terrorism). She is a co-founder and chair of the Czech Association of Providers of Services to Victims, an umbrella organization dedicated to advocacy on behalf of victims’ rights. In 2014, she was the recipient of the Alice G. Masaryk Human Rights Award for her commitment to the protection of victims of bias crimes. From 2009-2010, she was a Fulbright-Masaryk grantee and spent six months in the USA at the University of Michigan, the Anti-Defamation League and the Anti-Violence Project in New York, focusing on hate crime research.